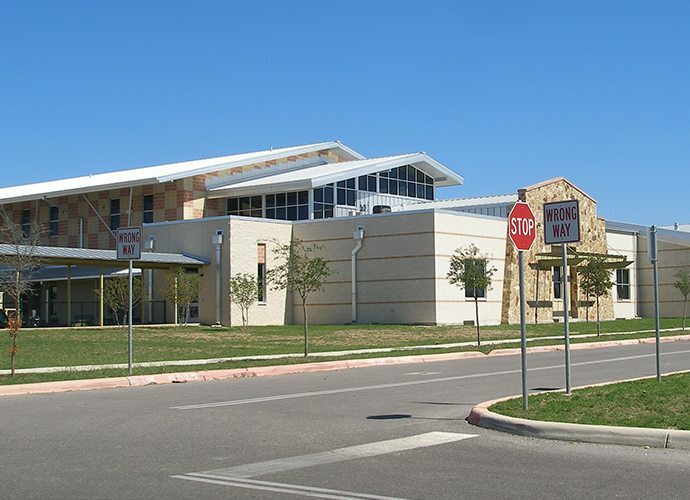 The project consists of a 140,000 SF two-story school on 19.5 acres, accommodating 750 pre-kindergarten through 8th grade students in one facility. 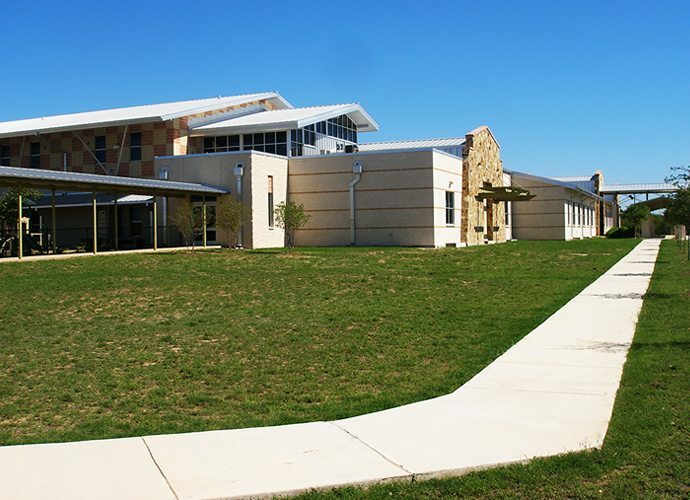 The new Academy contains classrooms, administrative areas, kitchen/cafeteria areas, two gymnasium and locker areas, and an enclosed courtyard for outdoor classroom activities. 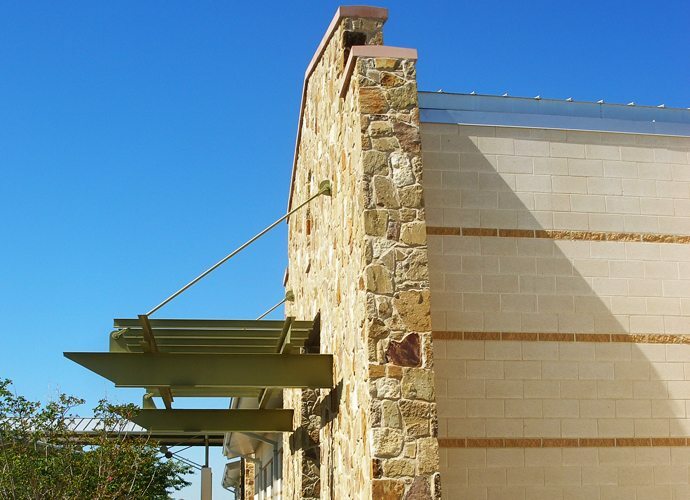 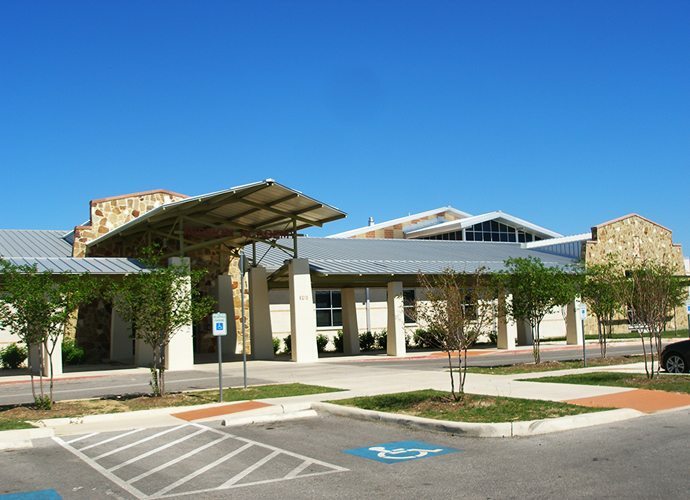 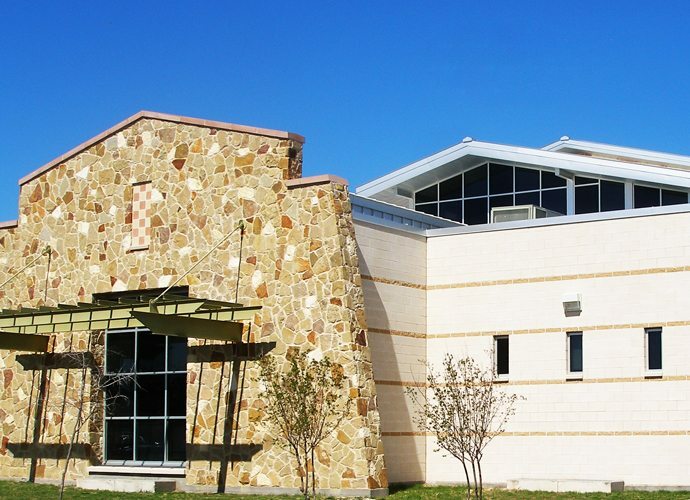 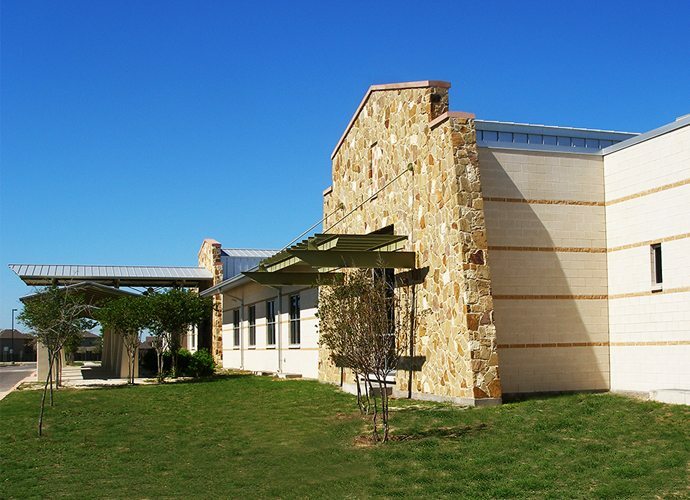 The facility has a covered entry and pedestrian walkway located at the front entrance to the building, as well as, a similar covered walkway between the cafeteria area and the classroom area along the south side of the complex. 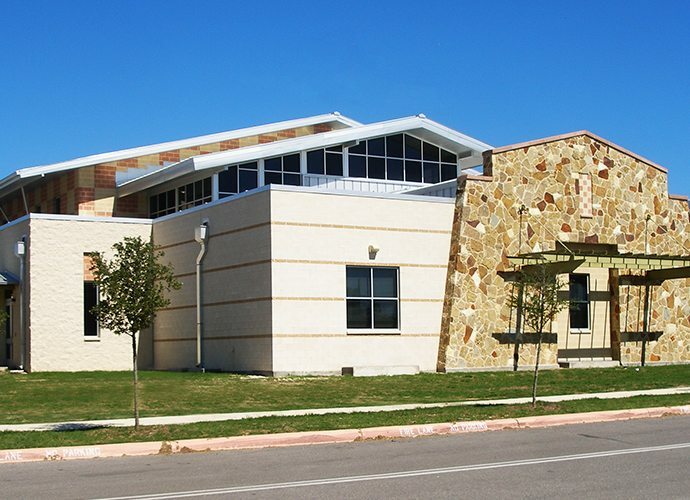 The building was also designed to incorporate a rainwater collection system to irrigate the school grounds.